D6948 was called into action at very short notice on Saturday 9th December when steam locomotive GWR 2-6-2T no.5526 was failed with a brake defect during preparation on shed. The 37 was started and the boiler fired up, and made the steam loco's booked diagram start. 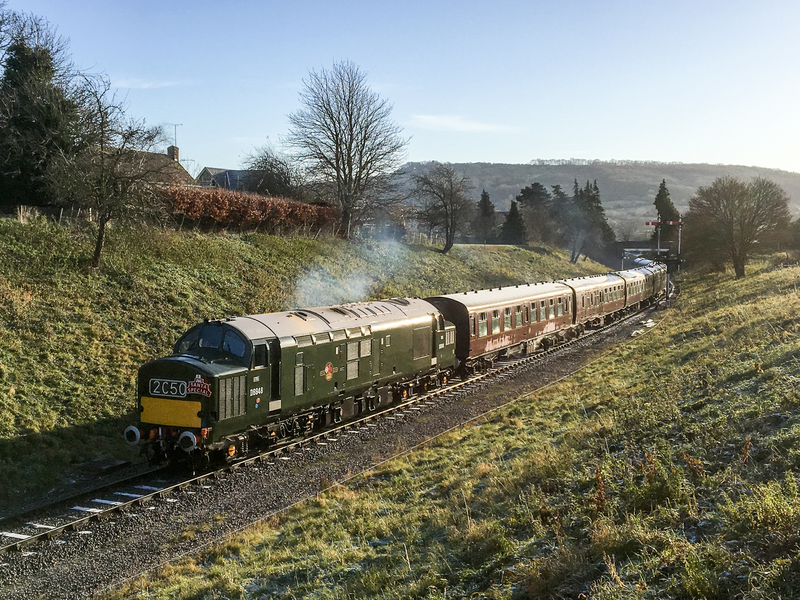 D6948 leaves Winchcombe with the 10:20 ECS to Cheltenham Racecourse on Sat 9th December standing in at the last minute for a failed steam locomotive. 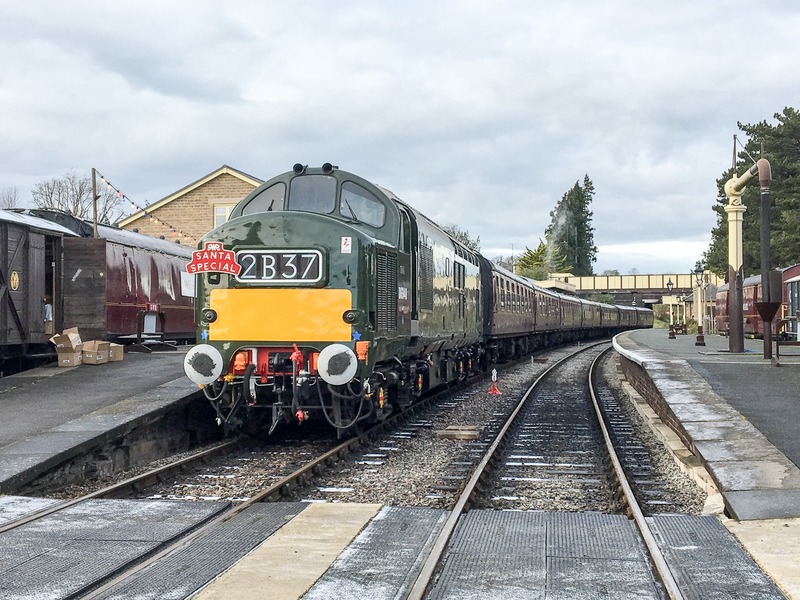 Photo: Peter Smith D6948 rests at Winchcombe having arrived with a Santa Special from Cheltenham Racecourse. A warm train and some happy children thanks to the steam heating boiler.